Neo Soul singer Calvin Richardson has had some success on the R&B charts. But he has bounced around labels making it tough to find consistency. The 2014 single Hearsay is his biggest hit to date. He was born Dec. 16, 1976 in Monroe, NC. He grew up singing in church. His mom had a gospel group. Along with gospel, Bobby Womack was probably his biggest influence. When his buddies K-Ci & JoJo had success with Jodeci, Richardson formed the group Undacova. They signed with Tommy Boy and the song Love Slave appeared in the 1995 film New Jersey Drive. The group split up and Richardson signed with Universal. Though his 1997 CD Country Boy did OK, Universal dropped him and Richardson released the 2003 album 2:35PM on Hollywood Records. Again the album did OK but Hollywood dropped Richardson. He released his next three albums including a Bobby Womack tribute album on Shanachie which is a smaller label that doesn't have a promotion budget that someone like Richardson needs. 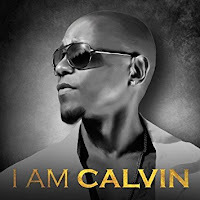 For the 2014 album I Am Calvin, Richardson signed with Jordan House Records owned by Eric Benet with Primary Wave and BMG distribution. They are both publishing houses, not record distributors. The single Hearsay reached #11 on the R&B Singles chart. Richardson and Benet wrote and produced the album. It was the same story. The album did OK but not good enough. For his 2017 album All Or Nothing, Richardson returned to Shanachie. And that's probably where he will stay. Richardson is a great singer and Neo Soul fans should check him out. He just can't seem to break through to a larger audience. Here's the video for Hearsay by Calvin Richardson.